Lock in a great price for El Patio Courtyard House – rated 9 by recent guests! 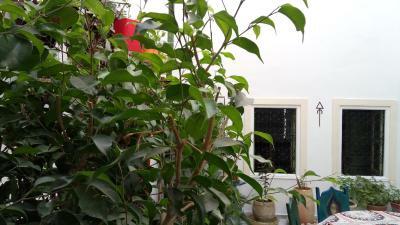 It is a 3 room guest house. Owners will take care of you starting from the airport. 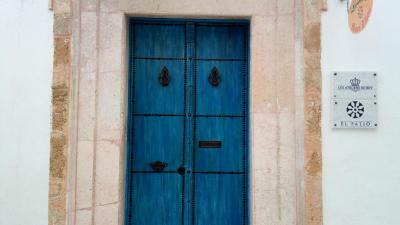 If you are here in Tunis as a tourist you should definitely stay in one of these houses. 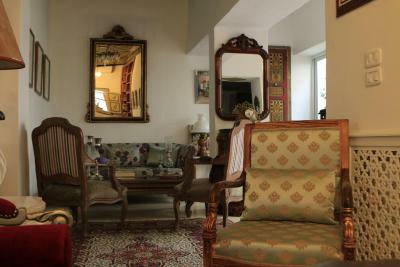 It is beautifully furnished with antique furniture. 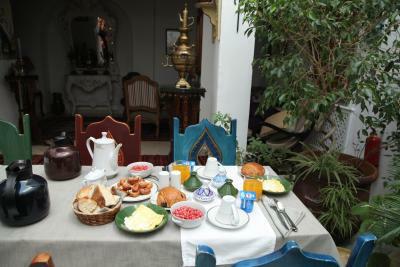 Delicious breakfast is served fresh at the time you wish. 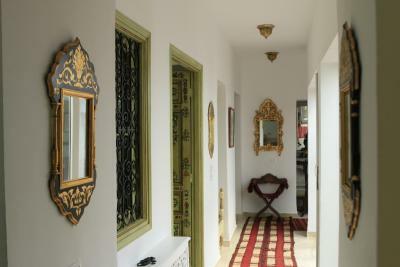 Marvelous and thoughtful restoration of an old medina house, private rooms, helpful host. 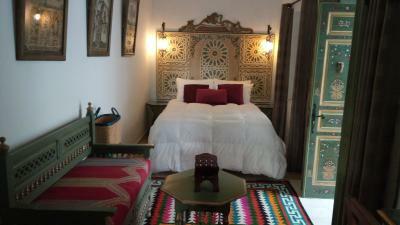 We had exceptional stay at El Patio Courtyard House, so authentic, clean and beautifully designed, has a very personal feel to it. Staff went out of their way to ensure we felt comfortable, safe and had everything we needed and more! Thank you very very much! Merci, Shukran! Khaola is a super host, always available to assist with her insights! 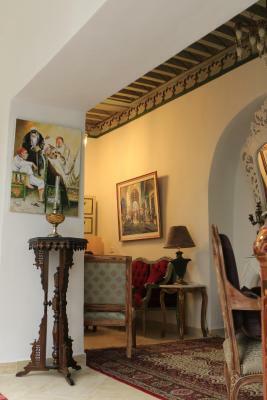 This guesthouse is in a great location in the middle of the old town. The woman who runs the guesthouse is very friendly and helpful. 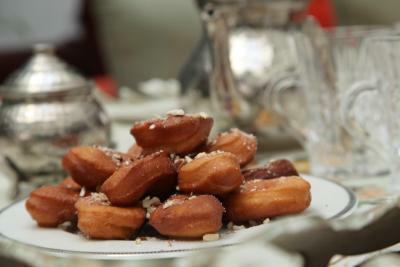 The breakfast was a nice addition! The staff was exceptional and we were treated like family and not paying guests. Owner and his family went above and beyond with helpfulness. 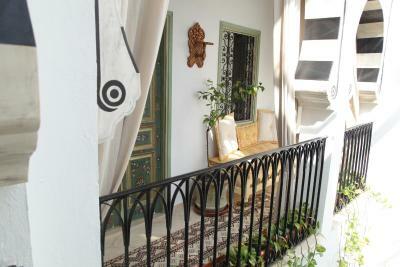 Delightful tastefully converted house in the old Medina with lots of character and a pleasant room. Ideal if you want to immerse yourself in the local culture and way of life. 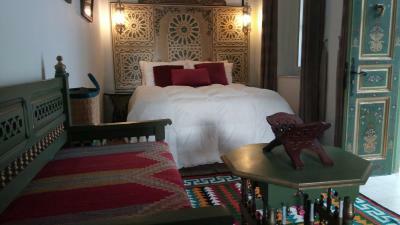 Very helpful staff and comfortable bed even if the sheets were a little bobbled ! Good shower and bathroom. Breakfast unimaginative although acceptable. Ideal as a family or small group let. 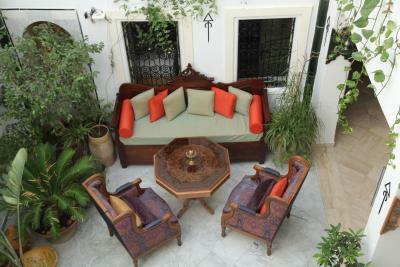 Located in Tunis, El Patio Courtyard House provides air-conditioned rooms with free WiFi. 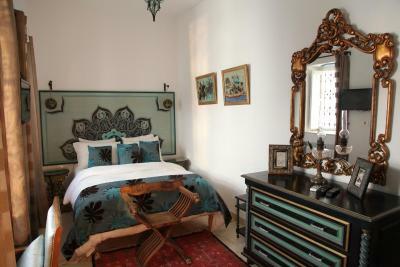 Built in 18th century, the property is within a 2-minute walk of Tourbet El Bey. 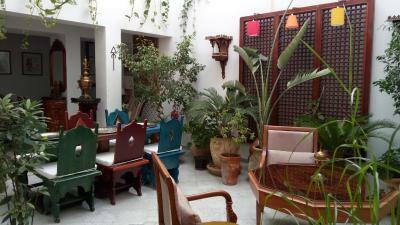 The property is close to popular attractions like Dar Hussein Palace, Kasbah Mosque and Dar Ben Abdallah Museum. 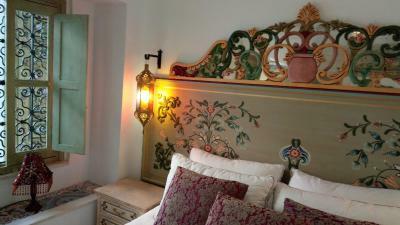 At the guesthouse, the rooms come with a desk and a flat-screen TV. 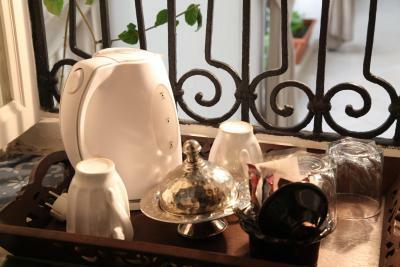 Rooms have a private bathroom with a shower and free toiletries, while some rooms here will provide you with a balcony. All rooms have a closet. El Patio Courtyard House has a terrace. 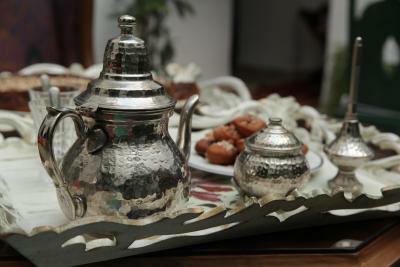 Dar Ben Abdallah Museum is 0.4 miles from the accommodation, while Medina is a 9-minute walk away. The nearest airport is Carthage Airport, 7 miles from the property. 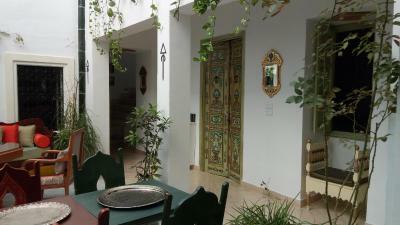 When would you like to stay at El Patio Courtyard House? 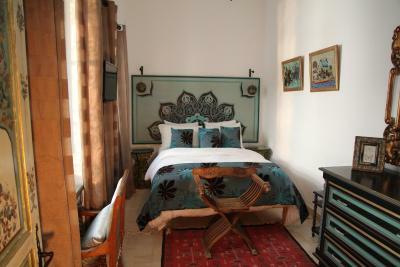 This double room has a satellite TV, air conditioning and private entrance. 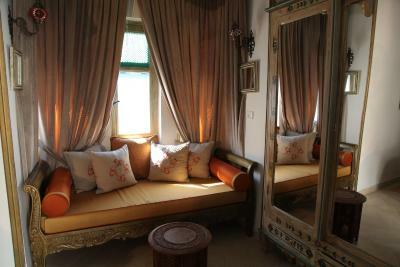 This double room features air conditioning, private entrance and sofa. 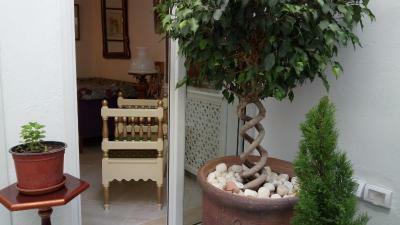 This double room has a tile/marble floor, patio and flat-screen TV. 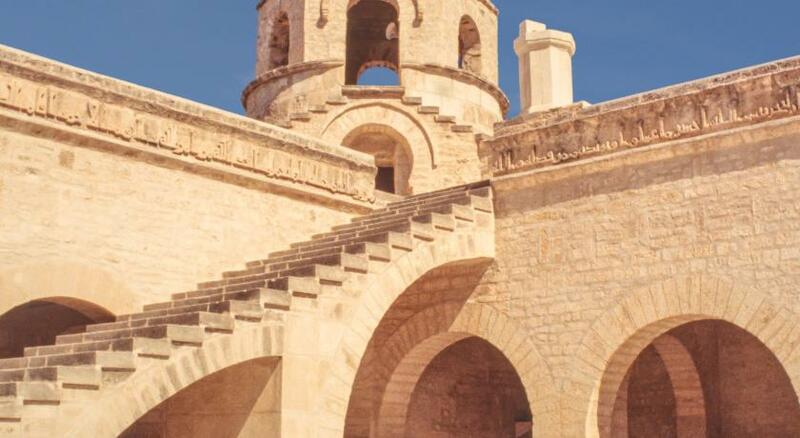 Area Info – This neighborhood is a great choice for travelers interested in markets, history and museums – Check location Great location - show map Guests loved walking around the neighborhood! 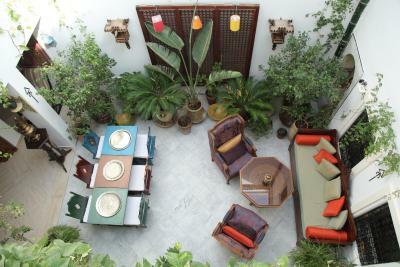 House Rules El Patio Courtyard House takes special requests – add in the next step! 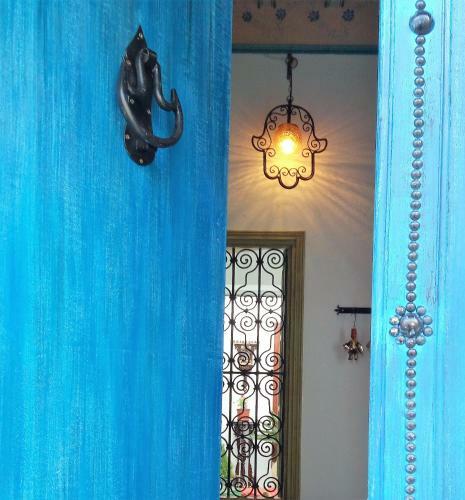 El Patio Courtyard House accepts these cards and reserves the right to temporarily hold an amount prior to arrival. The payment of your stay will be deducted by Cap Scandinavia Travel. Poor internet connection very frustrating. Bedroom lighting was dim and not really adequate. The design of the house and conversion of the rooms accentuated any noises which could be a problem. Location may be an issue for some as access was restricted and small narrow alleyways at night dimly lit. For us this added to its appeal. I loved the hospitality! They went out of their way to make me feel comfortable and welcomed in their tidy place by picking me up from the taxi drop off area, and booking a taxi on the day for me to leave the guesthouse. The beds and sofas were comfortable. Nights are quiet and relaxing. Breakfast was splendid. The guys were extremely helpful at all the time. I had a delay on my flight. I supposed to get in the house at 17:00, but arrived at 23:00. They went, under the rain, pick up us out of the medina. Thanks a lot for that! The house is lovely. 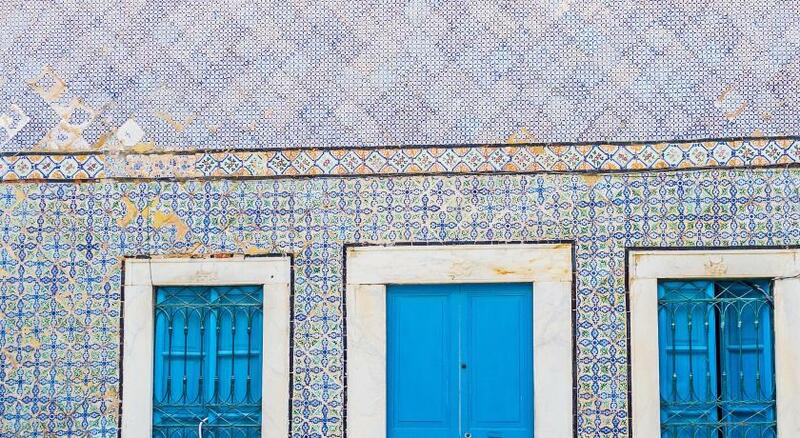 On the middle of the medina. Perfect to visit everything by walk. The staff was very helpful and kind. 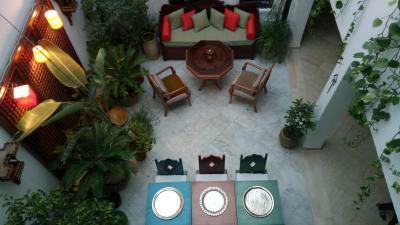 The place was nice furnished and decorated. In the heat of the old city. 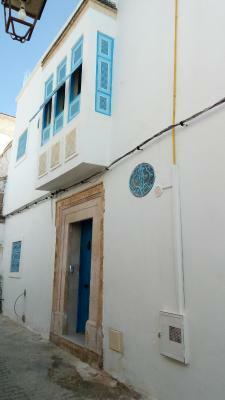 Just next to my favorite Arab intellectual's old house Ibn Khaldoun and his mosque. WiFi connection is poor. Also, I dont know is the problem with my card or bank or booking.com or hotel but we couldnt pay with credit card. But probably it is an individual problem. We totally like the hotel. The hotel has fantastic and authentic design. So clean. We planned for 2 nights but extended to 4. It is a little unsafe around the medina at night. Cleaning the room everyday would be good too. The staff. She went out of her way to find me when i was lost. 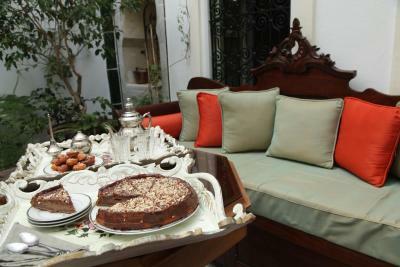 It is such a beautiful boutique hotel with special authentic tunisian touches. The beds are comfortable. I loved everything about this place. Checking in was way below expectations. The receptionist/guard was not very helpful. The house is charming, but it is in such a poor location that I wouldn’t recommend. It was a hassle to find the hotel because the street is hidden and very dodgy. Walking to the hotel felt unsafe, day and night. It was also impossible to find taxis on the Main Street. Not worth the price. I would just have appreciated wi-fi working in the room, as everytime I entered it it would disconnect. But minor trouble after all. Everything. The house is beautiful, elegant and well kept. It's like being at home in.a luxury residence. Our host is a brave young lady who knows how to take care of her guests. Very friendly staff. They were always there to help me with my travel inquiries. Did laundry for me. Breakfast was fine as well. 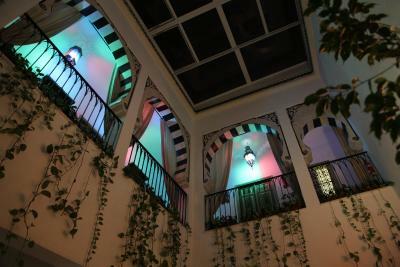 Location is good though it’s not 100% accesible by taxi as it’s in the Old Medina. You need to walk 400 meters, no big deal.